View or download the 2018/19 Civic Orchestra of Chicago brochure. Join the Civic Orchestra Fellows for their inaugural chamber concert of the 2018/19 season! Schubert’s masterful Octet is joined by works by Britten and Ewazen. Free tickets are required. CSO Sir Georg Solti Conducting Apprentice Erina Yashima returns to the podium to lead Mahler’s monumental Sixth Symphony, characterized by its epic scale and autobiographical motifs. Former Mead Composer-in-Residence Elizabeth Ogonek’s springy, percussive work was premiered by the CSO under the direction of Maestro Muti in 2017. Inspired by CSO Judson and Joyce Green Creative Consultant Yo-Yo Ma, the annual Bach Marathon includes performances of J.S. Bach’s six Brandenburg Concertos in community settings throughout the city and this finale concert at Fourth Presbyterian Church. Led by Bergen Philharmonic Chief Conductor Edward Gardner, this concert explores the innovations in instrumentation, form and harmony that emerged during the 20th century, from the powerhouse brass section of Janáček’s Sinfonietta to the improvised passages of Lutosławski’s Symphony No. 4. This celebration of modern masterworks concludes with the lush impressionistic harmonies of Daphnis and Chloe. Bramwell Tovey conducts Tchaikovsky’s quintessential work featuring rich melodies inspired by the composer’s Russian musical heritage and his own romantic trials. This is paired with two works by British composers who, inspired by the history of the English and Italian countrysides, translate the past into their own epic, late-Romantic orchestral style. 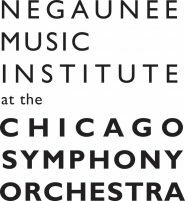 In collaboration with the Chicago Center for Contemporary Composition, nine new pieces for orchestra by current and former students of the University of Chicago receive their world premieres under the skillful leadership of former Civic Principal Conductor Cliff Colnot. The Civic Orchestra returns to South Shore Cultural Center for the second time in 2018/19 to present this concert of lush, programmatic music conducted by CSO Principal Trombone and Civic Orchestra alum Jay Friedman. This special concert celebrates the centennial season of the Civic Orchestra of Chicago. Additional ticket and benefit information will be announced at a later date. Beethoven’s celebratory Seventh Symphony is led by CSO guest conductor Nikolaj Znaider, who made his CSO podium debut in 2017. The suite from Prokofiev’s ballet features iconic melodies inspired by the Shakespeare’s play about star-crossed lovers. With its narrative structure and use of over 100 musicians, Strauss’s larger-than-life tone poem about a journey through the Alps was considered groundbreaking at the time of its premiere. This colossal piece is paired with a new work by Christopher Cerrone, co-commissioned with the Britt Festival Orchestra, featuring the Grammy Award-winning ensemble Third Coast Percussion. The Civic Orchestra joins forces with the extraordinary singers of Lyric Opera of Chicago’s Ryan Opera Center for an evening of beloved opera scenes and orchestral interludes. Conductor Michael Christie returns to the Civic podium to conduct this collaboration between two of the nation’s most prestigious training programs for emerging artists.